I know, I know. 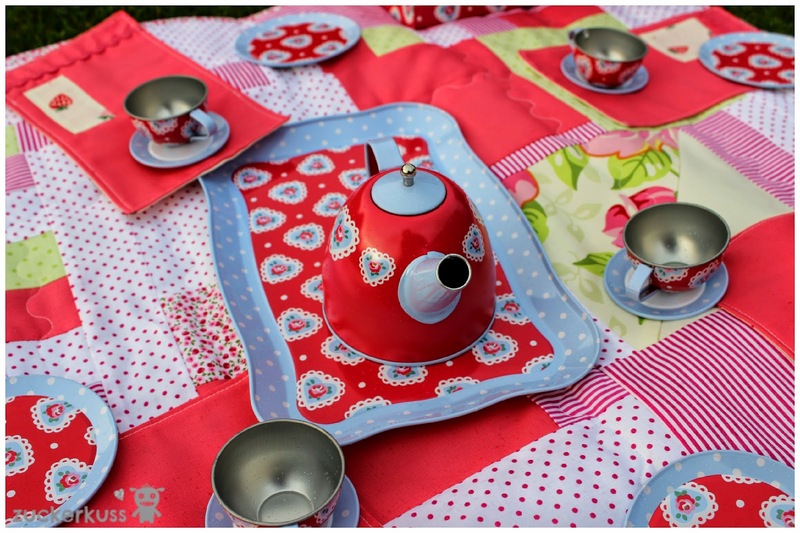 Its an unusual time of the year for tea party but I just couldn't resist it. Of course I couldn't resist to add a little blanket and some napkins to the set. 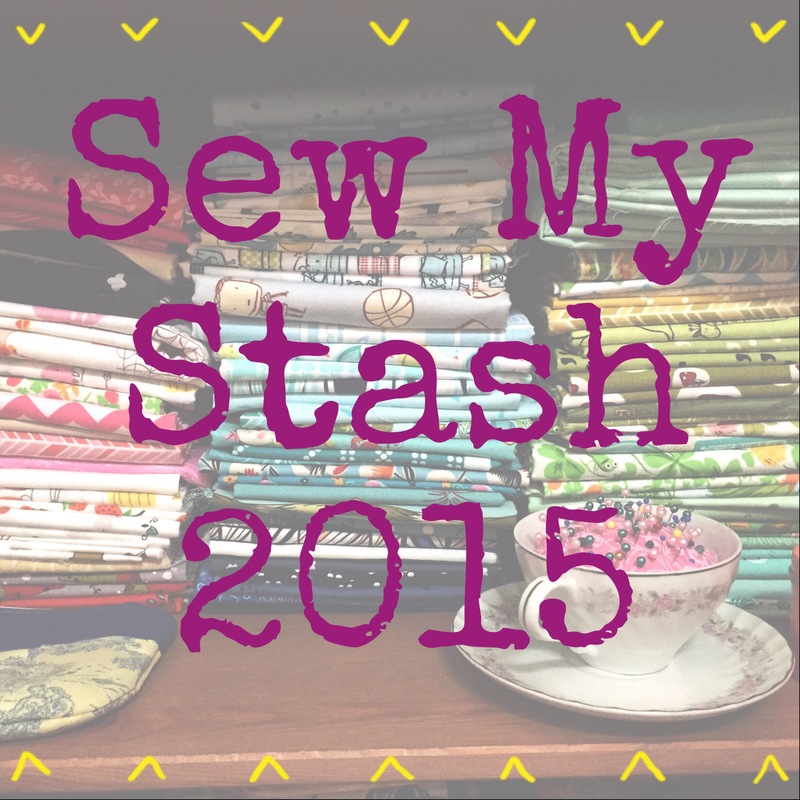 I had some fabric left that just completed the looks of the tea set. 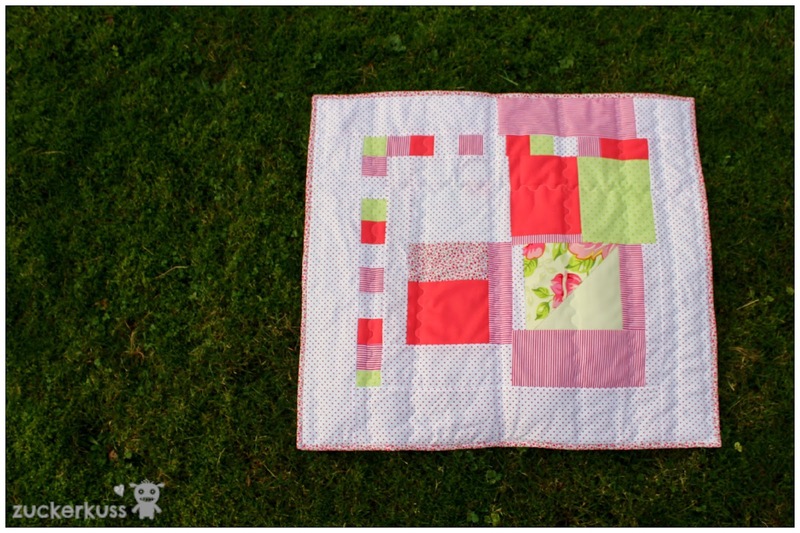 I just experimented with the design by chucking blocks together without a real plan. 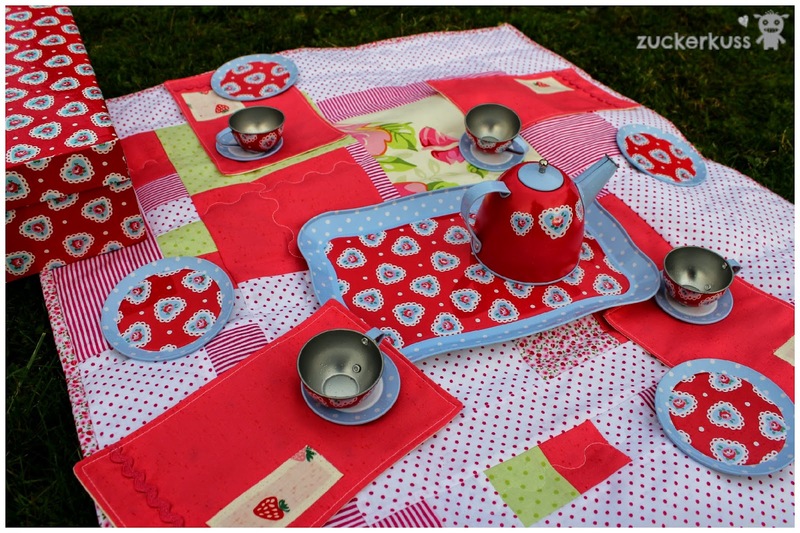 The blanket turned out quite squarish which I really like - big enough to host a little tea party! I have a strong feeling there is something missing. How about some food? Some tea? Will work on that. Maybe some felt doughnuts? I really hope K will enjoy this for her third Christmas. Fingers crossed. Until then I need to hide it well! Linking up today with NTT and finish it up friday. 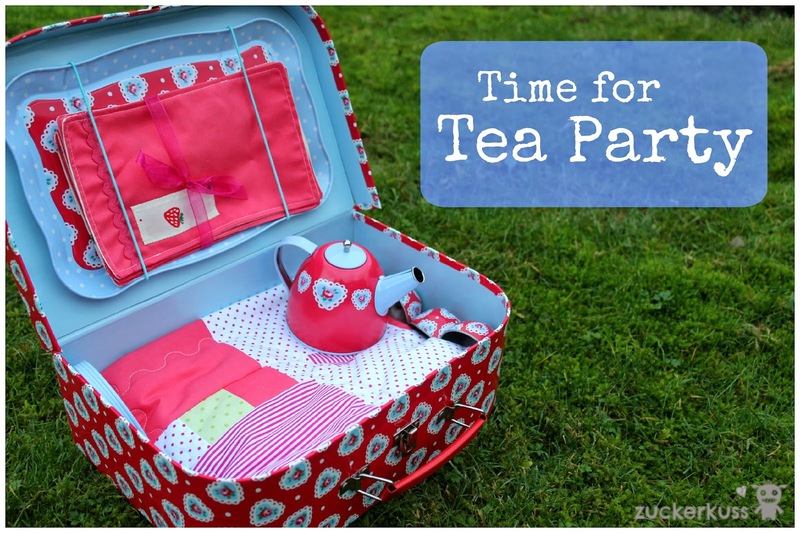 So so cute, my granddaughter is close to this age and she also loves to pretend having tea parties! I have been letting her have sips of tea since before she was one much to her parents chagrin. 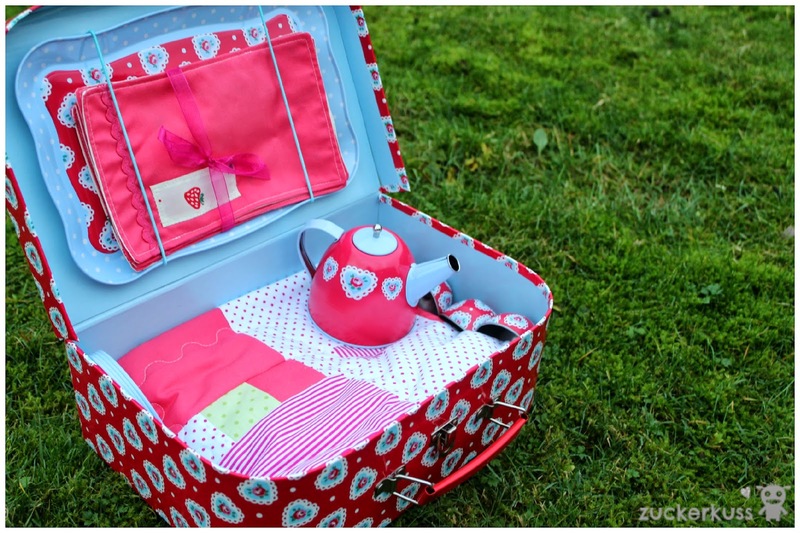 and so cute all in a case together with a picnic blanket! How fun! I love that little tray and teapot. How beautiful! 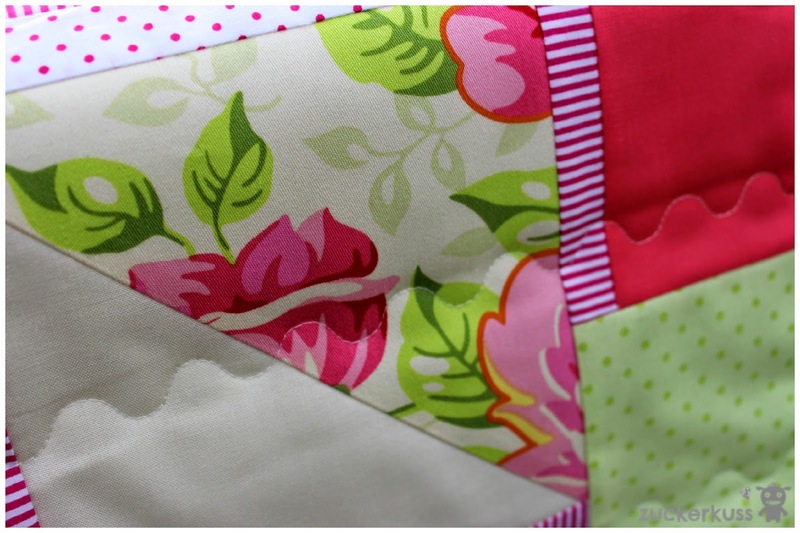 Love the fabrics on the quilt! This is adorable! It's a great gift and sure to be loved!